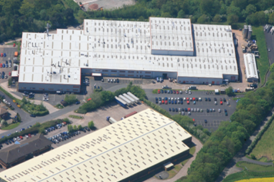 Caisson Investment Management has acquired a single let warehouse in Droitwich, Worcestershire with Parabola Capital, their JV equity partner, for c.£6.90m. The unit is let to Koito Europe and measures 176,285 sq ft. The transaction represents a net initial yield of c.13.55%.